Hi: Ruth Brown here. 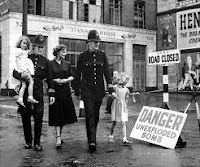 I'm the main character in Linda's series about WWII London. I wanted to talk a bit about what it was like when I arrived in England. Have you ever traveled far from home? I hadn't. I dreamed about it, but never thought in a million years it would actually happen. 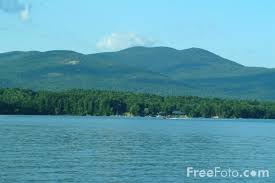 I'm from a teeny-tiny village on the shores of Lake Winnipesaukee, New Hampshire. Granted, it's a made up town, but it's not unlike many of the places you are familiar with such as Center Harbor and Wolfeboro. Needless to say, London was different than anything I had ever experienced. It was spread out, noisy and very dirty, what with all the rubble from the bombs and the coal dust. Not only that, most of the signs had been removed to thwart the Germans in case they invaded. It took me several weeks to get my bearings and arrive at a location without back tracking several times. The Londoners were friendly and helpful. That's what struck me the most when I arrived. Even with all the hardship, rationing, fear and death that surrounded them, they carried on. The shops simply boarded up broken windows and painted on the wood that they were open for business. Homeowners swept away debris and planted window boxes. 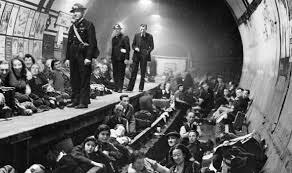 People made do with little to eat, and soldiered on night after night of air raids. Despite the war, I love living in London and look forward to the day when I can explore the rest of this wonderful country. Meanwhile, I cover stories of ordinary people doing extraordinary things.